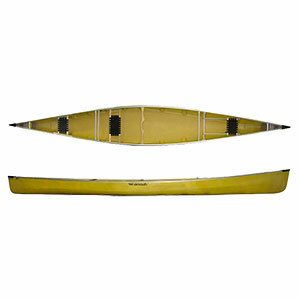 The We-no-nah Escapade is a 16.6 tandem performance touring canoe available only in "tuff weave"material. 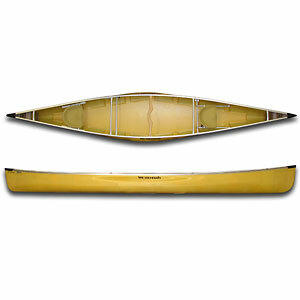 Produced mainly for lakes and gentle rivers, this boat is sleek and agile with great response to the paddlers commands. I got in my new We-no-nah Escapade late last week and have taken her out every day since. 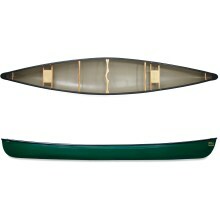 The Escapade is a 16.6 canoe and it just so happens that 16.6 is the perfect length for a solo canoe. This canoe is only available in Tuff Weave material. I do like the feel and weight of tuff weave over royalex. The big drawback to the tuff weave however is that it does not take well to scratching. Structurally, you do no damage, but aesthetically it is easy to scratch your tuff weave paint job (why I bought the boat in white). Tuff weave won't dent and ding as readily as Royalex. If you're storing your boat outside, Tuff weave has superior UV resistance and apparently a longer life span then royalex when properly cared for. 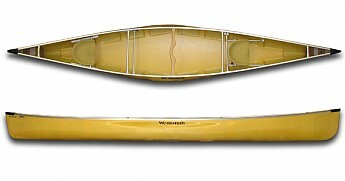 Wenonah makes a model of canoe called the "solo plus" to accommodate for your paddlers looking for a solo boat at 16.6 but also outfitted with tandem seats. They joke around at Wenonah and call the Escapade the "tandem minus". It has the option at purchase to have installed a central solo seat with a removable yoke so that the canoe can be comfortably paddled solo. The central solo seat is also adjustable so that the paddler can rest while kneeling on the hull. A fair amount of tumblehome in the center of the boat also helps to make this narrow canoe (33"wide) a dream to paddle solo while kneeling. The model I purchased came equipped with the bucket seat option. This was a feature on Wenonah canoes I had yet to experience but after paddling it tandem I found the seats to be very supportive and comfortable. Paddled tandem the Escapade cuts through the water very efficiently even with inexperienced paddlers. Weighted down or dry in solo or tandem she still preforms and responds. I have only had the opportunity to take it out in 10mph wind so far but I have found it takes the wind fairly well. It is a light boat and when empty the wind does have a noticeable effect on the boat. Ive paddled big ole' Wenonah Kingfishers, Herons, a Spirit II, and Min II, but the Escapade is easily the nicest boat I've ever paddled tandem. It is very responsive in steering and is exceptionally maneuverable. The only true fault with the Escapade is in its gear capacity. Having the solo capability at 16.6 an being fairly narrow you sacrifice much of the capacity of larger touring canoes. 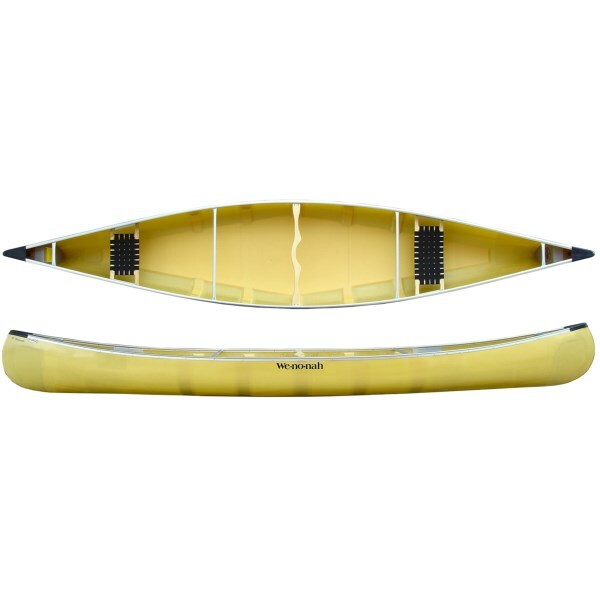 I fully recommend this canoe to anyone who is looking for a tandem that is equally capable as a solo. The only thing I think you would have to cope with is the starting price of $2,200. 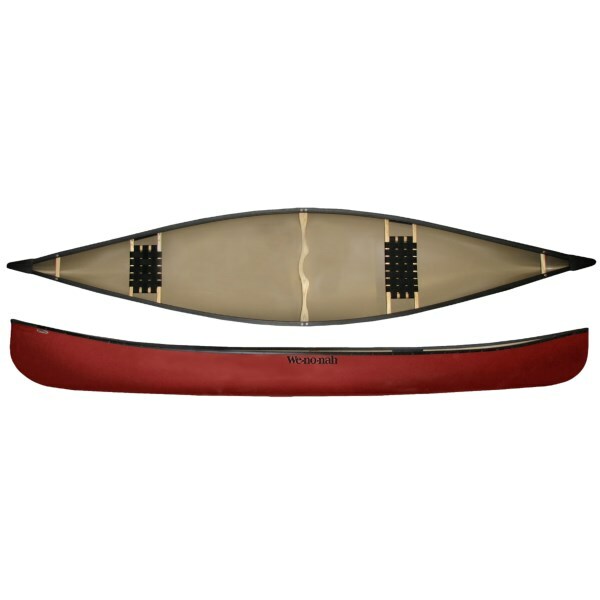 I purchased a cosmetic blem model of this canoe for a significant reduction. It has a slight very very light pink streak on the underside of the hull. Barely even noticeable and has no effect on the performance. It dropped the price significantly though making this fine craft affordable to me. If you have a local Wenonah Dealer ask them to check availability on Blem models for a good price on a great boat. Nice review, Mike. I would add that the Escapade is available in other composite materials, the Tuff Weave being the cheapest. Both different weights of Kevlar are available, as well as Graphite for the ultra light group. Each material is used for its different attributes. A very nice tandem/solo fast canoe. I have the Escapade in a kevlar/flex core layup. The canoe weighs 51 lb in this configuration. It is also available in kevlar and also in Tuf-Weave. It is a shorter touring canoe in a performance hull. This means it holds a bit less gear for touring than the longer ones. Since I am a backpacker I have the lightweight gear that suits this canoe very well. I was surprised at the stability with the two young grandkids; I was expecting the worst but was pleasantly surprised. I added a center seat and have been enjoying going solo. It is fast! I mostly use a kayak paddle when soloing. I use it for fishing and it handles well for this. I am a lake paddler so cannot speak to its river abilities. Thanks for sharing a review of your Escapade, Bradford. Do you have any pictures of your canoe in action to show off to others? The Wenonah Escapade is not available from the stores we monitor. It was last seen April 5, 2019	at CampSaver.com.